Covering an area of approximately 514,000 square kilometers (200,000 sq miles), Thailand is the 50th largest country in the world, most nearly equal in size to Spain. Located just 15 degrees north of the equator, Thailand has a tropical climate and temperatures typically range from 19 to 38 degrees C (66-100 F); monsoon rains fall predominately from May to July and cooler, drier weather occurs around November and December. Despite the geographical boundaries of Thailand all falling within the tropics, Thailand’s four primary regions are each geographically distinct from each other. In Thailand you shop for anything from gems and high technology, to designer items and … err… things that look very much like designer items, but … err … aren’t quite! Trousers, shirts, dishtowels, gold, silver, antiques, silk, sharks fin, Chinese herbs and medicine – the mundane and the exotic, they are all found side-by-side in plentiful amounts. Of course Thailand’s markets are legendary, not simply because they are places to find cheap gifts for people back home, but because they are also a slice of the real Thailand. Markets are not just there for the tourists, they are focal points for the various communities that make up the kingdom. You will see the ‘real deal’ in a market – real people going about their daily lives rather than some contrived scene created for the tourists! And of course, shopping is not restricted to markets. Every city and town has shopping malls that would be fit nicely in any other country. 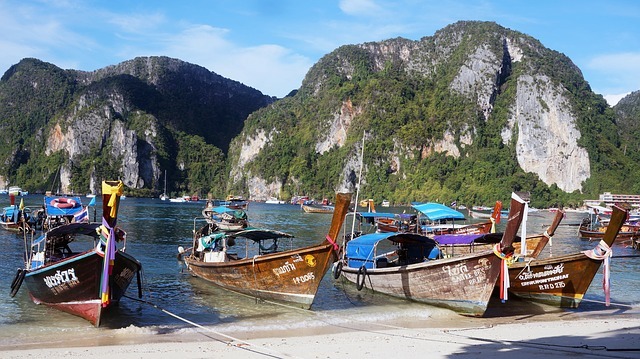 Thailand’s islands and beaches are the destinations of choice for hundreds of thousands of visitors every year. Thailand is blessed with natural beauty and its islands are amongst the most scenic and beautiful in the world. Likewise, its beaches are simply stunning – clean sand, clear water, and wonderful scenery. 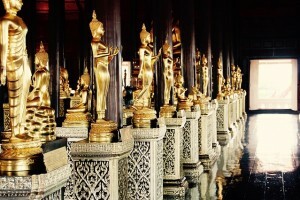 Each of Thailand’s islands has its own character and identity drawing specific types of visitor. Some offer limited accommodation and facilities to draw the adventurous looking for a more ‘back to basics’ holiday experience. Others offer world class facilities (accommodation, restaurants, etc.) to entice visitors with bigger budgets who need their creature comforts. It is though important to note the diversity that exists not only between the islands, but between the beaches (both on islands and on the mainland). Whereas one beach might offer beaches that provide raucous entertainment, others in the same area might only draw those looking for a quiet life. There is then a lot to explore on Thailand’s islands and beaches and to get the best out of your trip you should plan where you are going carefully. The north and north-east are generally cooler than Bangkok in winter, and hotter in summer. In the far north, around Mae Hong Son temperatures can occasionally drop as low as 2oC. Thailand currency is called Baht. One Baht equals 100 satang. While the denomination of the notes varies from Bt10, 20, 50, 100, 500, 1000, the coins are in the denomination of Bt 10, 5 and 1, 50 and 25 satang. Coins are mostly made of silver and brass and may be of different sizes for the same value. Only the very recent coins are denoted by Arabic numerals. Though the paper money has both Arabic and Thai numerals, they still vary in sizes (that is different denominations have different sizes and the size increases with increase in denomination) and are color coded. All tourists must possess a passport valid for at least 6 months beyond their intended length of stay (Retirement visa requires at least 18 months validity).